Do I have to take everything out of the cabinets? 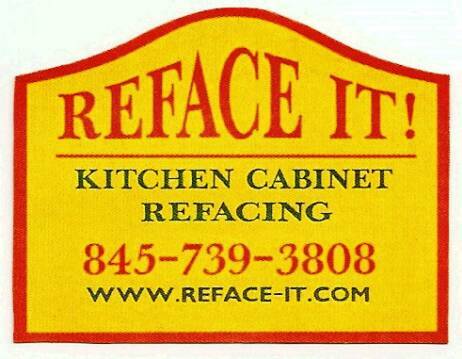 You do not have to empty the cabinets when we reface. All of the cutting is done outside, which keeps the dust outside as well. A vaccum is in the kitchen with us, and if any dust does get in the cabinets, we will clean it out before leaving for the day. Can we use our kitchen while it is being refaced? Absolutely! If you need to come in the kitchen while we're working and do something, go right ahead. And, at the end of each of our workdays there, you are free to use the kitchen as normal. The only time that you would not be able to use the kitchen would be when, and if, we are tiling the floor. Just refacing the cabinets takes, on average, three to five days. The amount of days depend upon how many cabinets you have and how complex the job may be.If you are also getting new countertops, a backsplash, or tiling the floor, then it will take additional days. The cost is based on how many doors and drawer fronts you have in your kitchen, the type of wood that you want, the type of door style chosen, along with if you want crown molding, etc. Refacing the cabinets on and average sized kitchen usually costs between $4,000 and $7,000. We've also refaced kitchens for as little as $3,000 and as high as $20,000. Of course, if you are also getting new countertops, etc., the cost will be more. Can cabinets be moved, added, or taken out on a refacing job? Yes, we can add cabinets, move cabinets around, take out, or even cut and shorten existing cabinets. When all the cabinets are in and where they should be, everything gets refaced, so all the cabinets will look identical. Is it more sensible to just get new cabinets instead of refacing? Changing the cabinets instead of refacing makes more sense in certain situations. If the cabinets are in really bad shape (not the doors, but the cabinet boxes),or if you want the whole layout of the kitchen to be changed, then new cabinets are the way to go. We can give you a price for installing new cabinets, since we also do new cabinet installations and renovations. From a cost standpoint, it is definitely less expensive to reface. New cabinets, with the same high quality,select grade wood that we offer with refacing, can be quite expensive. Many times the new cabinet advertisements do not include the costs of trims, sales tax, delivery, and many other high cost items. They may be non-select grade (knots, grain marks, distinct color variations), or made of compressed board cabinet sides (not plywood construction). In addition to that, the cost of removing the old cabinets and installing the new cabinets, the extended time of not being able to use the kitchen, and the extra mess and incomvenience are all factors to consider when going with all new cabinets. "My friend just had her kitchen remodeled with new cabinets. When she came over to my house after you refaced my cabinets, she thought that my kitchen looked better than her's ! She could not believe how good my kitchen looked, and wish she had done the same."